This September Chögyal Namkhai Norbu will visit London to give Dzogchen Atiyoga teachings. Born in Tibet in 1938, Chögyal Namkhai Norbu’s outstanding spiritual qualities were recognised at a very early age. In 1960, he was invited to Italy and was professor of Tibetan & Mongolian studies at Naples University for over 30 years. 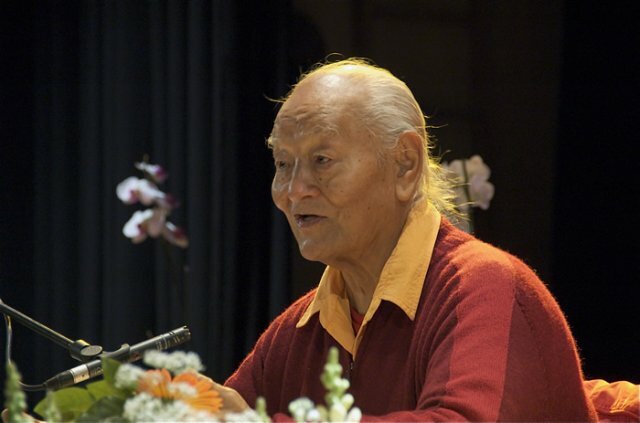 He began teaching Dzogchen in the west in the 1970’s and since then has tirelessly transmitted the Dzogchen teachings to thousands of students, establishing centres worldwide. Today he is recognised as one of the greatest contemporary Dzogchen masters and is renowned as a scholar for his numerous books on Dzogchen and Tibetan culture.